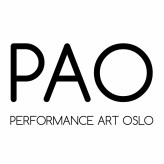 I studied scenography at the Norwegian Theatre Academy. In the process of learning how to work with space, it became necessarily for me to also enter it. I find it hard to understand purely by observation. A thought arrives in my head – The thought transforms into an image – I try to move the image out of my head – The thought appears physically in front of me and... in collaboration we figure out something. I never know from the first thought where we are going. I work a lot with different materials. Usually I discover the actions while investigating the material. At the moment I am in Copenhagen collaborating with choreographer, Runa Norheim. We are creating an opening ceremony called Klakør for the dance festival, “Young Choreographer” at Haut Scene. Klakør/Claqueurs are an organised body of professional applauders. Hiring people to applaud dramatic performances was common in classical times and by the 16th-century the modern claque was developed. This was a way of educating one’s audience, but also a strategy of manipulating the audience's opinion of a play. In 1820, claques underwent serious systematisation when an agency in Paris opened to manage and supply claqueurs and the claque became an institution. Together with a group of 22 performers we are now re-inventing the phenomenon, claqueurs and it’s impact concerning group dynamics. A material I would like to get to know. It catches my attention and creates an attraction. Might be the texture, smell, movement, color, sound, tactility, unpredictability etc. I prefer to get lost and loose myself inside the material. To let the material dominate the process. I cannot isolate myself completely from either the surroundings nor the people present. This is both terrifying, but also comforting. I am not very good at separation and my relation to the audience is similar to my relation to the people present in my life. In the same way I cannot ignore the people/audience, is it impossible for me to not pay attention to the space. I get affected by my surroundings.